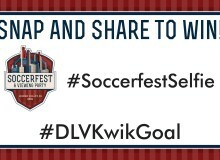 With Lehigh Valley SoccerFest & Viewing Party set to return to SteelStacks™ on Monday, there are a few things that we felt compelled to remind everyone about. Note: If they advance beyond the group stage, each U.S. game will be shown. 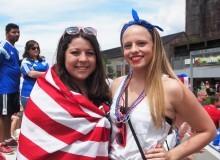 Second, get there early for the best seats (or bring your own), and by all means wear your red, white, and blue. Scouts. SoccerFest will also feature soccer-related programs and activities including an interactive experience by the Philadelphia Union, family activities like soccer tennis and arts & crafts, vendors offering official U.S. Soccer merchandise, and a presentation by Daniel Paul Morrison, the leading historian on the Bethlehem Steel F.C., the soccer powerhouse that was based at Bethlehem Steel and won five National Challenge Cups from 1915 -1926. Lastly, and most importantly, let’s all get along. This is a great way to all come together as Americans and support the women on to victory. 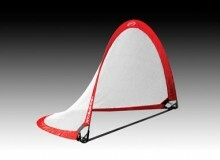 Goal including their Infinity® Pop-Up Goal, their All-Surface Soccer Tennis Net, or Agility Ladder. Winners will be picked the day after the June 8, 12, and 16 matches. We look forward to seeing everyone there. In closing, please take the time to read a quick article that appeared yesterday in The Morning Call’s Op-Ed section from Nick Swartz, the Director of Brand Strategy at Lehigh Mining & Navigation in Bethlehem and Discover Lehigh Valley’s advertising agency of record. It gives great perspective on how sports, events, and interaction with others can inspire. Enjoy the read and thanks, Nick, for sharing. Every person sees the world differently. We interpret reality and believe things to be true, based on the experiences in our lives. The environment we are raised in greatly impacts how we view the world. And as we grow older, each experience we encounter has the ability to evolve our worldview. At a young age, I was fortunate to grow up in Europe. Different language. Different customs. Different experiences. It helped shape the way I viewed things. It also created memories that I still associate with my childhood. One of the most profound memories from my childhood stems from growing up in Holland. Every four years, the entire country would come to a grinding halt. Everything transformed into a sea of orange. Communities simmered with a sense of pride and excitement until the entire country reached its boiling point. The FIFA World Cup had arrived. To this day, the World Cup represents a family tradition like no other for me. No matter how far apart my family lives from one another, the World Cup experience is powerful enough to transcend time and geography. From Holland to the Caribbean or San Francisco to Pennsylvania, every four years we&apos;re together in the experience. But if I&apos;m to be completely honest, my excitement has never really extended to the women&apos;s game. There&apos;s no good explanation for this, other than it wasn&apos;t part of my worldview. I had no point of reference. 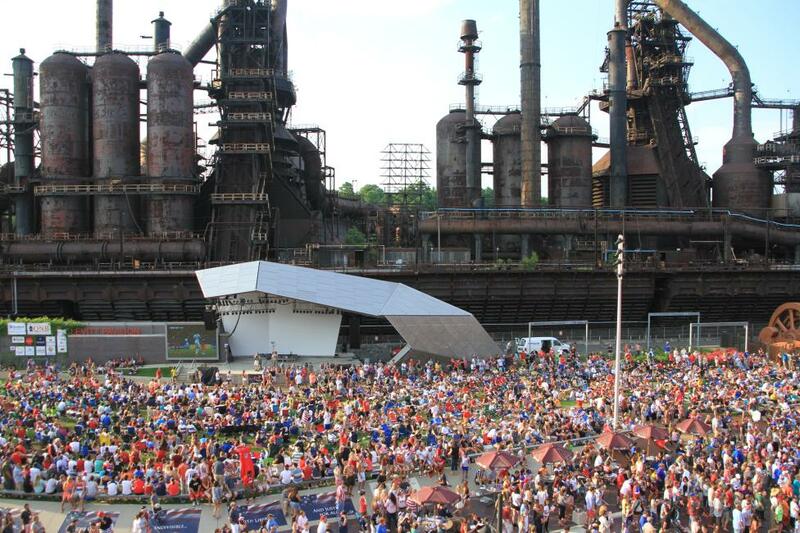 Last year, I was fortunate enough to be part of the organizing committee that brought the 2014 Lehigh Valley SoccerFest & Viewing Party in Bethlehem to life. By all accounts, it was a tremendously successful event. And I had the opportunity to introduce my then 6-year-old daughter to the passion and excitement that was so profound on my upbringing. But this year, I find myself extremely excited about the Women&apos;s World Cup. In many ways, it takes on an even more important meaning for me as a father. In a culture that glorifies male athletes almost exclusively (e.g. Super Bowl, World Series, The Masters), my now 7-year-old daughter will get the opportunity to celebrate female athletes thriving on the same stage. She&apos;ll identify new role models and new sources of inspiration. She&apos;ll redefine what&apos;s possible for her and gain the confidence that she too can accomplish her goals and dreams — whether they&apos;re on an athletic field, in the classroom or in the business world. 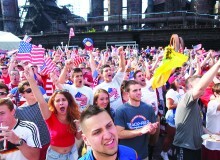 If you&apos;re a dad or mom with a young daughter, I encourage you to bring her to SteelStacks in Bethlehem to experience the 2015 Women&apos;s World Cup at the Lehigh Valley SoccerFest & Viewing Party starting Monday, when the American women will play. One event. One experience. That&apos;s all it takes to help change the way she&apos;ll see the world forever. The article can be found on The Morning Call’s website here.